Start by preparing the fruits: wash and thoroughly dry all the fruits. Dice the mango, peel and separate tangelos and then cut each segment into 2-3 pieces, chunk the fresh pineapple. 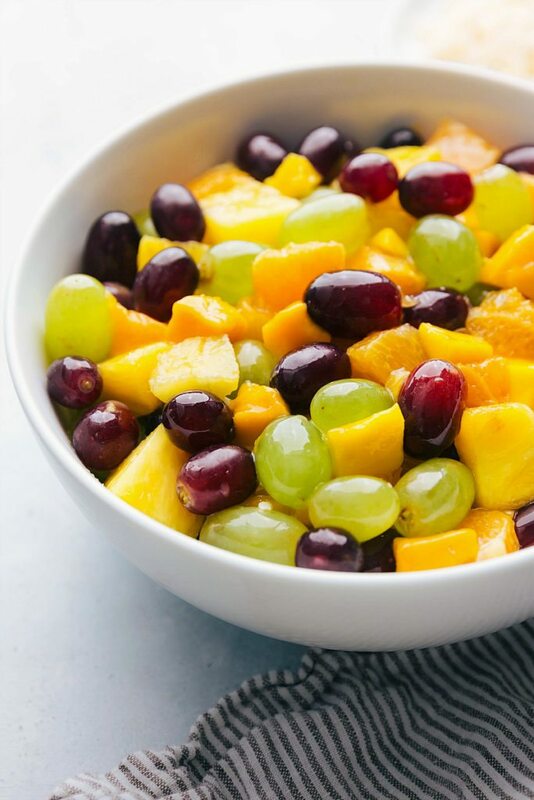 Add the diced mango, cut tangelos, cut pineapple, red grapes, and green grapes to a large bowl. In a mason jar combine the pina colada mix, pineapple juice, orange juice, coconut extract, and almond extract. Cover the jar with a lid and shake to combine. 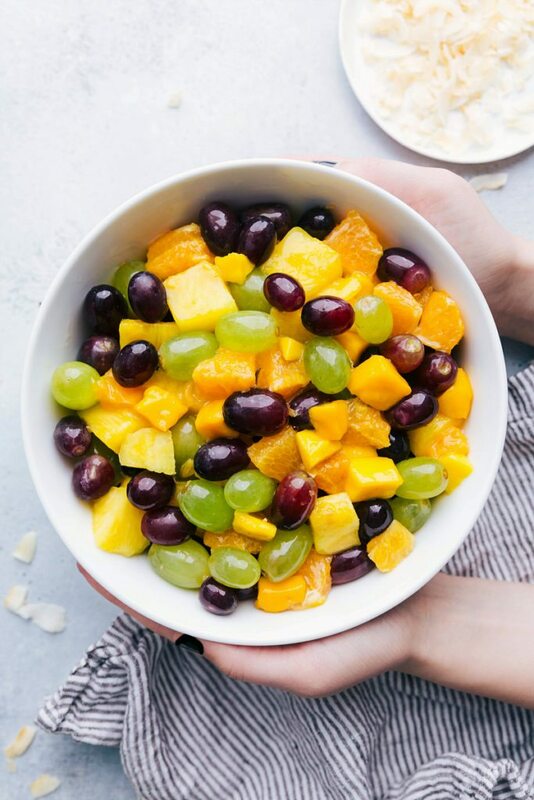 Drizzle over the fruit and toss to coat. Place in the fridge until ready to serve. (Salad is best served cold and best enjoyed the same day it is made!) You can prep ahead by making the salad and dressing, keeping separate in the fridge, and then tossing right before serving. If desired, top the salad or individual plates with toasted coconut flakes.